Clock aficionados with time on their hands will be delighted to hear that Bonhams will be staging an outstanding exhibition of early English clocks at New Bond Street, London in September. 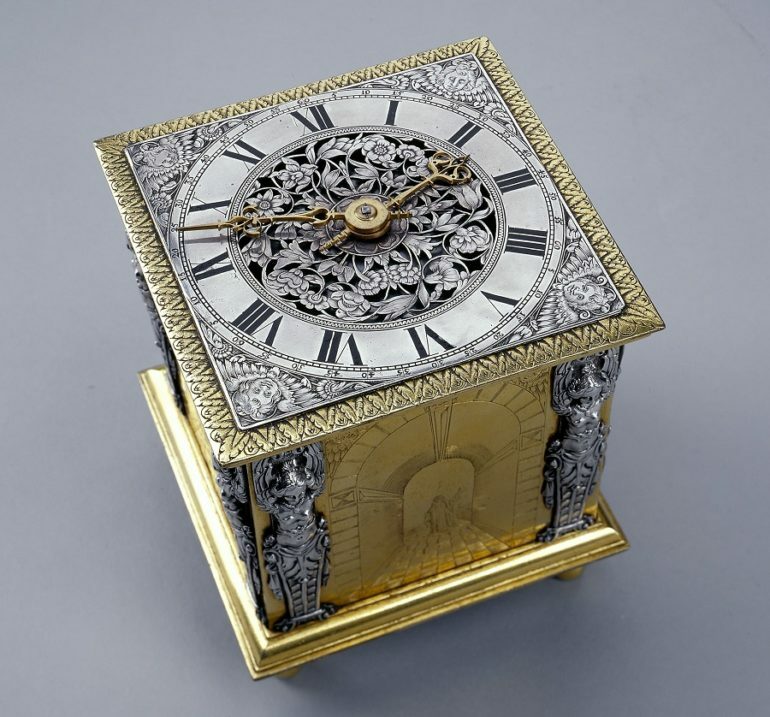 Two private clock collectors have joined together to provide exhibits for the event, along with contributions from the Science Museum, the Clockmakers’ Company and the Collection of the 5th Lord Harris from Belmont House. Titled ‘Innovation and Collaboration’, this brief history of time will be on display from Monday 3 September until Friday 14 September. Many of the clocks on display are rarely seen, and a substantial number either Royal commissions or part of historic private collections within stately and luxury homes of the period. The exhibitors certainly seem to recognise the rarity of these timepieces, since their main objective is to share their passion and ignite new interest from the public. With watches and documents also on show, the exhibition will explore five themes that analyse the story of clockmaking. These include the strive towards accuracy and mechanical innovation, crown patronage, and the early growth in goods aimed at the aspirational middle classes that can be seen in today’s luxury watch market. The exhibition should be of interest to cultural historians and science enthusiasts as well as those interested in antiques and historic timepieces. The exhibition is also claimed to provide a fascinating and unique insight into the innovation and collaboration of the pioneering clockmakers from 1600 to 1726. The work of Edward East, Thomas Tompion plus the clockmaking families Fromanteel and Knibb, will be explored in detail, with over 100 longcase and table clocks on display. The exhibition will be free to enter, but those interested should not delay.